Hello and thank you for visiting our page. 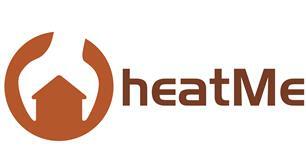 HeatMe Plumbing and Heating is Ilford based Gas Safe registered company. Vinnie, the Gas Safe registered engineer along with his team operate in all areas within the M25. We are proud to say that our business is based on three values: honesty, complete integrity and a never-give-up attitude. We offer a wide range of services in the Plumbing, Heating and Gas industries. Providing you with cost effective solutions for any issues you might have, starting from a dripping tap to a complete central heating system refurbishment. Clarity and transparency - we believe being honest goes a long way and builds strong customer relationships. What we quote is what you pay, not a penny more. Friendly service - no grumpy plumbers here. Customer satisfaction - our aim is to finish the job, where everyone is happy before, during and in the end. Tidiness - we value customers’ property and will always leave the job clean and tidy. Quality workmanship - we don't take shortcuts and all the jobs are carried out buy the highest standards and best practices possible.